Crofting is a system of land holding unique to Scotland. A croft is a small land holding, of which the crofter is a tenant. The crofters holdings act (1886) provided security of tenure, an important landmark after the insecurity and turbulence of the clearances. The traditional crofting way of life is one of small scale mixed agriculture with animals and cultivation, often supplemented by income from other activities such as fishing. Crofting has traditionally been a social system characterised by common working. Townships are divided into small areas of individually allocated crofts on better quality land primarily for cultivation, and a large area of poorer quality land for common grazing of stock. On North Harris there are 129 crofts and 22 common grazings covering almost half of the estate. There are 40 crofts on the island of Scalpay, and a single common grazings. Outside Tarbert most inhabitants of the Estate live on or are a tenant of a croft. 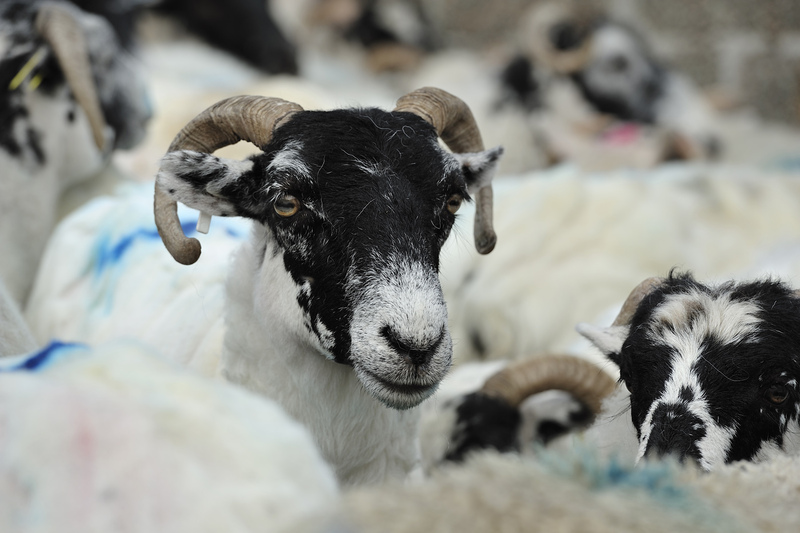 However, the nature of crofting has changed considerably in recent years, partly due to a decrease in the number of active crofters, and partly due to changes in agricultural subsidies. Although crofting is still the predominant land use in the area, the number of sheep has dropped dramatically in recent years and less than 50% of crofts are now stocked with sheep or cattle.